This looks like a very nicely cared for example of these family fast cruisers. She looks exceptionally clean and has obviously been professionally cared for. With a superb cockpit tent that extends her accommodation, there is plenty of space, along with versatile seating that can be altered to suit. Down below is a conventional layout, with plenty of seating, a compact galley unit and manual head. She's definitely a head-turner - she's also definitely a great prospect for couples or small families, for weekends or longer and who want to have have speed thrills, along with home comforts at the end of the day. 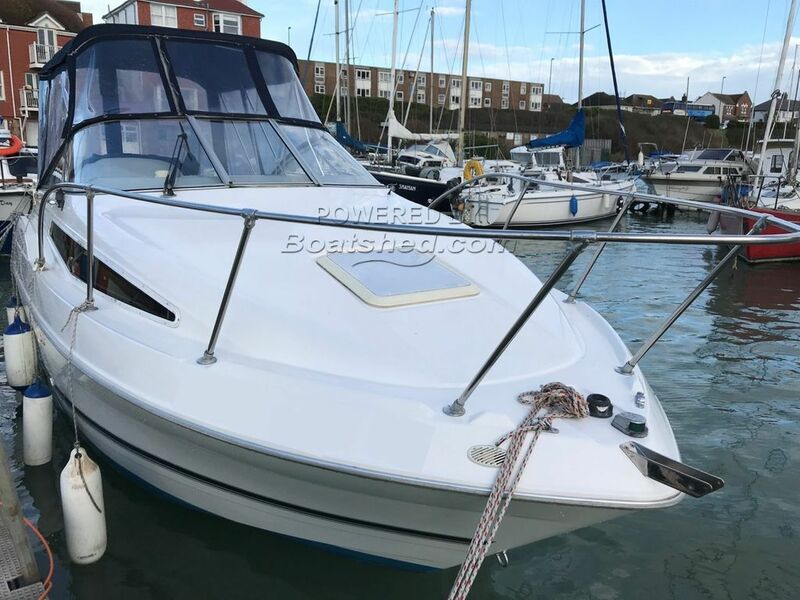 This Bayliner 2355 Ciera has been personally photographed and viewed by Tim Kingston of Boatshed Brighton. Click here for contact details.